Think ‘Groundhog Day’ meets ‘The Good Place’. The Good Place might've just finished its third season, but Netflix isn't done serving up smart existential laughs just yet. The streaming platform's latest series once again tasks its protagonist with wondering what this whole life business is all about — however, in Russian Doll, New Yorker Nadia (Natasha Lyonne — who you'll most likely recognise from Orange Is the New Black) is forced to relive her 36th birthday shindig over and over again. While getting stuck at a celebration in your own honour will sound like a literal party to most folks, that's not Nadia's path. Co-created and co-written by Lyonne, Amy Poehler and filmmaker Leslye Headland (Bachelorette, Sleeping with Other People), this eight-episode show takes its acerbic, misanthropic lead character through the kinds of twists and turns that are really best discovered by watching. Her closest pals (Greta Lee and Rebecca Henderson), friendly ex (Yul Vazquez), wise aunt (Elizabeth Ashley) and cute roaming cat all feature, and so does a determined but neurotic guy (Charlie Barnett) who lives around the corner. If you're getting strong Groundhog Day vibes, then you're on the right track. Netflix is even launching Russian Doll on Friday, February 1 — aka the day before this year's real-life Groundhog Day, which will be celebrated on February 2. That said, this isn't just a rehash of a movie about rehashing the same events, even if the series does have plenty of fun with its concept. Examining fate, logic, life's loops and wading through limbo in a clever and compelling way, Russian Doll is dark, heartfelt, hilarious and inventive all at once. And, although the do-over premise has become a well-established trope on both the big and small screens, the series never feels like it's relying on a gimmick. Like its name, this is a layered effort that keeps revealing new charms, as does Orange is the New Black's Lyonne. Of course, Netflix has played with branching narratives already this year, all thanks to Black Mirror: Bandersnatch. While Russian Doll lets Nadia choose her own way through her repeated days, it isn't a choose-your-own-adventure affair for viewers — but, in a nice little coincidence, Nadia is a computer game programmer. 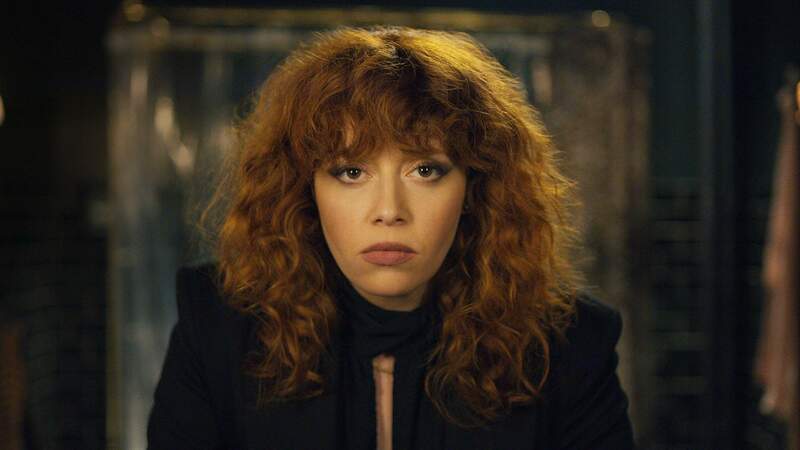 Russian Doll hits Netflix at 6pm AEDT / 5pm AEST on Friday, February 1.